SpaceX’s fifth launch of replacement spacecraft for Iridium’s global voice and data communications network is set for March 29 from Vandenberg Air Force Base in California, a flight that Iridium hopes will signal the start of a brisk pace of West Coast missions to complete deployment of the telecom company’s initial 75-satellite constellation this summer. 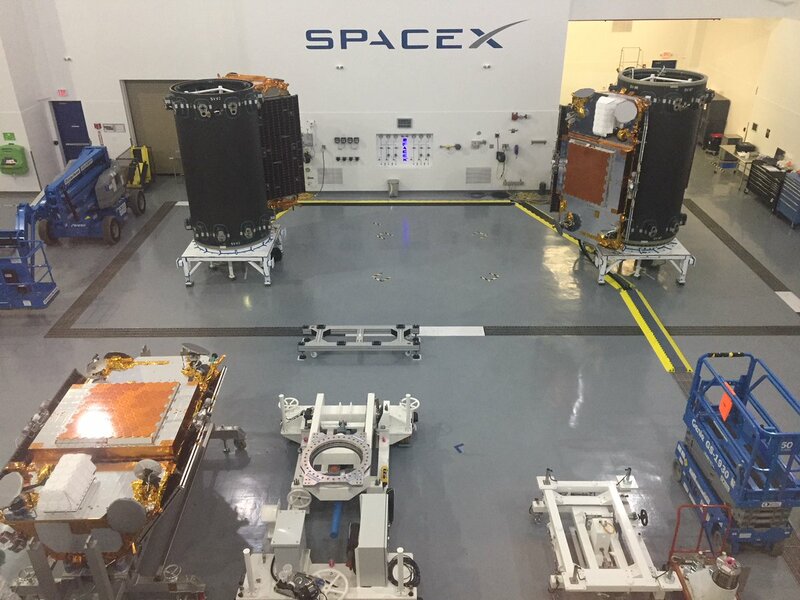 All 10 satellites assigned to the March 29 launch have been bolted on their SpaceX-built mounting platform for fueling, a procedure that was expected to conclude early this week. Each of the satellites will weigh 1,896 pounds (860 kilograms) with a full load of hydrazine maneuvering propellant. The combination of the 10 satellites, plus their two-tier dispenser module, make the Iridium missions the heaviest payloads launched by SpaceX to date. Built in Gilbert, Arizona, by Thales Alenia Space in partnership with Orbital ATK, the latest satellites set to join the Iridium Next fleet were trucked to Vandenberg Air Force Base in pairs, then passed post-shipment checkouts before their stacking on the deployment structure. The schedule called for technicians to load around 361 pounds (164 kilograms) of hydrazine into each of the Iridium Next satellites over the weekend. The final major steps for the spacecraft will be their encapsulation inside the Falcon 9 rocket’s payload shroud, which protects the satellites during their stay on the launch pad prior to liftoff, and during the first few minutes of flight through the dense lower atmosphere. Meanwhile, SpaceX ground crews are preparing the Falcon 9 rocket inside the hangar at Space Launch Complex 4-East at Vandenberg. The booster launching March 29 first flew in October with the third set of Iridium Next satellites, then landed on SpaceX’s rocket recovery vessel in the Pacific Ocean for refurbishment and reuse. After completing a hold-down firing at the launch pad, the rocket will return to the hangar for workers to connect the Falcon 9’s payload fairing and the Iridium Next satellites. The Falcon 9 will return to the launch pad, located around 1,000 feet (300 meters) from the hangar, around a day before liftoff. The Falcon 9 will be hoisted vertical atop the launch mount for final pre-flight checks. Launch is set for March 29 at 7:19:49 a.m. PDT (10:19:49 a.m. EDT; 1419:49 GMT). The instantaneous launch opportunity is timed to place the 10 payloads into Plane 1 of the Iridium network, which has spacecraft spread in six orbital planes, each with 11 spacecraft. 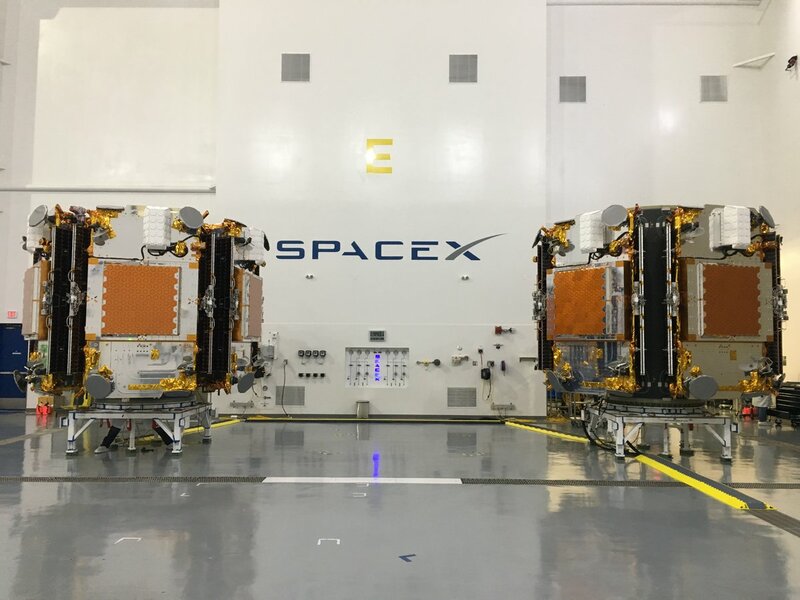 The 10 new Iridium Next satellites launching next week will join 40 others lofted by four Falcon 9 launches last year. Iridium is deploying an upgraded voice and data relay network to replace an aging satellite fleet that launched in the late 1990s and early 2000s. 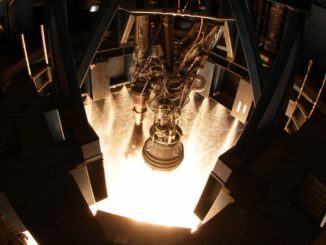 Iridium has invested $3 billion in the new-generation system, purchasing 81 satellites from an industrial partnership between Thales Alenia Space and Orbital ATK, eight Falcon 9 launches from SpaceX, and modernized ground terminals to allow the company’s more than 900,000 subscribers to connect to the network. The new satellites allow Iridium to debut voice and Internet capabilities, alongside the network’s previous telephone, messaging and tracking applications. 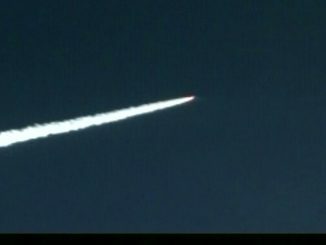 Earlier this month, Iridium said 34 of the Iridium Next satellites launched last year had entered service, meaning more than half of the 66 active satellites in the company’s fleet were new members of the constellation. Three more were due to become operational by the end of March. Besides their primary mobile communications function, the Iridium Next satellite also host instrumentation to track global air and maritime traffic. Iridium and SpaceX have three more missions booked after next week’s launch. Five Iridium Next satellites will share a Falcon 9 launch from California in late April with two joint U.S.-German research satellites to probe Earth’s gravity field. 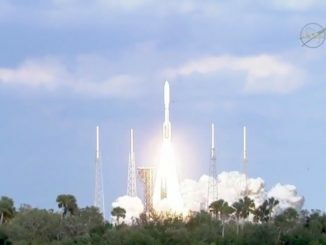 A launch date for that mission has not been confirmed, but filings with the Federal Communications Commission suggest the flight is scheduled for no earlier than April 28. A launch in late April would occur around 3 p.m. PDT (6 p.m. EDT; 2200 GMT), based on the time that the Earth’s rotation begins the Vandenberg launch base under the mission’s targeted orbital plane. Two dedicated Falcon 9 flights, each with 10 satellites on-board, will wrap up the Iridium Next launch sequence. Iridium expects the eighth and final launch in the series to occur in July, according to a company spokesperson. Six of the 81 satellites Iridium purchased have not been booked for a launch, and will remain on Earth as ground spares for now. Iridium has not ruled out launching the final six Iridium Next satellites in the future.